Maintenance of the Church rests with the Pastorate Committee comprising of members elected by the general body of the Church. The Pastorate Committee elects its office bearers: the Secretary takes care of administrative matters such as upkeep and maintenance of the Church building and its records, hiring employees, wages, etc. The Treasurer handles finances of the Church, which include Sunday collections of voluntary offerings. Permanent members of the Church pay a monthly subscription, which is used for maintenance of the Church. A part of freewill offering collected every Sunday is sent to support the Delhi diocese. The Presbyters are responsible for spiritual well-being of the parish , whereas the Pastorate Committee Members including Hony. 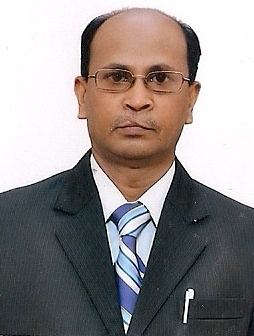 Secretary Mr. Ashok Fenn, Hony. Treasurer Mr. P. Angels, Hony. Church Administrator Mr.P.M.S. Jayadass who is assisted by Hony. Estate Manager Mr. Bunny Joshua who is in turn assisted by our Sewadars and gardeners are together responsible for functioning, upkeep and maintenance of the Church premises and structure. All the Pastorate Committee Members are working in honorary capacities only.We are also grateful to Mr. Arnold Goodwin and Mr. Thasapa for helping out with the administrative work in the office.